So… Is the stock market really blowing bubbles in 2017? Not many people have made extravagant purchases over the past three years based on their investment gains. 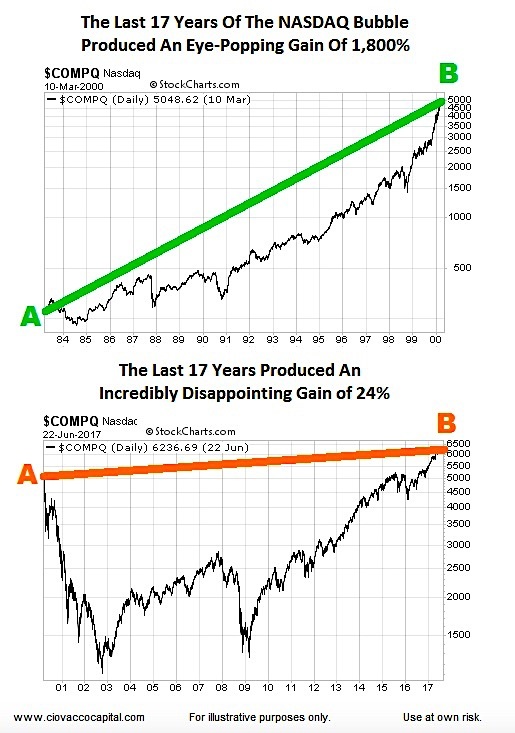 No one is euphoric with a 24% gain that was earned over a 17 year period; the term disappointed seems a better fit. 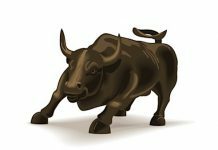 Does History Say The S&P 500 Bull Market Is Living On Borrowed Time? 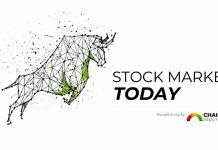 A headline such as “Happy Birthday Bull Market, It May Be Your Last” implies that a bear market is just around the corner. This week’s video looks at the history of secular trends to water test the “this bull market is living on borrowed time” theory. After reviewing the historical facts, you can make your own call. 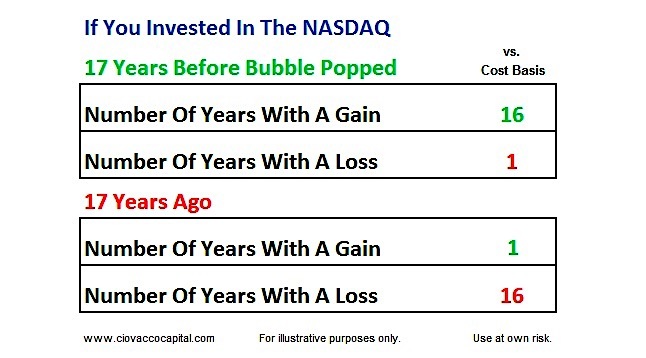 It is easy to see how a 1983 NASDAQ investor became irrationally exuberant over time. An investment in the NASDAQ in 1983 produced, for the most part, a source of positive investment feedback for 17 years. During this period, anyone with an even remotely long investment horizon was making money, which eventually led to the bubble trademark expression “this time is different”. 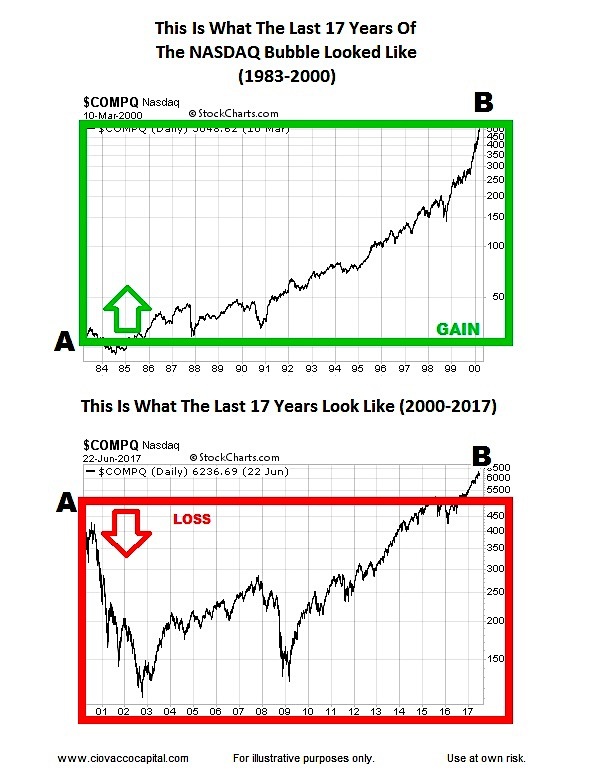 In the charts below: (1) relative to the cost basis, the investment showed a gain when the NASDAQ was inside the green box, (2) relative to the cost basis, the investment was at a loss when the NASDAQ was inside the red box. Over the past 17 years, the more common expression has been “I’d be happy just to get back to where I was before”, which was not heard during the final euphoric stages of the tulip bulb mania, dot-com bubble, or housing bubble. As outlined in detail on May 30, 2016-17 looks more like a major bullish turn than a major topping process. Other recent posts featured bullish-leaning data related to volatility and very-long-term breakouts in semiconductors. 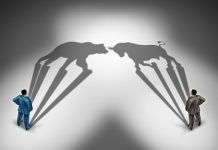 What Does History Say About Valuations? Valuations are a reasonable area of concern. While the conclusions may surprise some, a review of historical facts on January 7, 2017 moved those concerns out of showstopper territory. 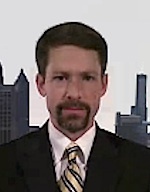 Get more investing research from Chris on his CCM website. Thanks for reading.